The Future’s Bright | Mitsubishi Electric invests substantial amounts of time and resources in R&D activities to develop future technologies and products. 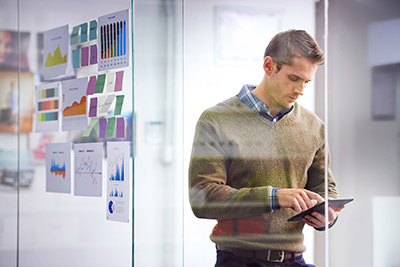 With the aim of addressing this issue, Mitsubishi Electric R&D has devel- oped a high-performance database with the ability to reduce the re- quired storage space by 98.5%. Significantly, because the volume is re- duced, the load time for the database is also decreased by around 98%, which in turn means the search time reduces accordingly. All of these results can be achieved using a standard 2-CPU server with 4GB of main memory, an outcome that emphasises practical R&D at its best, where everyone can appreciate the benefit. From blockbuster movies to the doom-laden predictions of sci-fi writers, AI is both scary and hugely exciting. Much of what has materialised to date has been impressive, but of little practical benefit, primarily be- cause of two key issues. The first is the tethering of a super computer: if industry really needs that much computing power, it is hard to see how AI will be usable. The second is the realisation that AI, just like a human baby, needs to be taught or shown how to learn some basic rules around the task at hand. In the past, deep learning algorithms were expensive and IT-heavy. However, the new automated deep learning technology from Mitsubishi Electric is a world first and critical to future AI deployment without rely- ing on expert knowledge. In fact, the training element of the AI is now 96.7% faster, which means this technology can be applied to faster and more demanding tasks. With this issue in mind, the Amazon Picking Challenge was born, where- by robots are tasked with picking a wide variety of small, large, soft, hard, fragile, robust, light and heavy products – and placing them in a packing carton without mis-picking or damaging the goods. 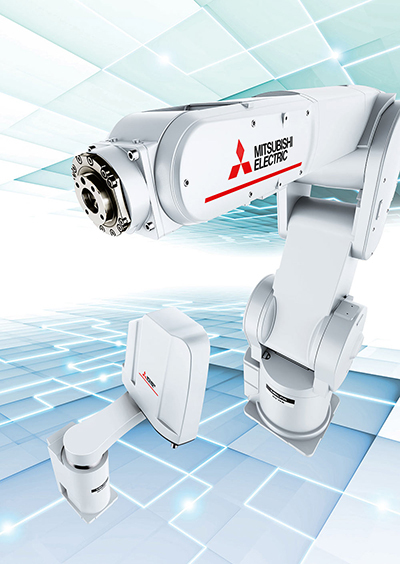 Mitsubishi Electric’s MELFA 3D vision for robots proved to be an essential enabler of this process, allowing the robot to ‘see’ what it wants to pick. The system can even enable robots to quickly and reliably pick products that are dispersed randomly in a pick bin. In 2014, this particular Mitsubishi technology won a coveted R&D100 award.